Ecommerce is helping millions of people worldwide take their businesses to new levels of success. Ecommerce is great for cutting unnecessary expenses. You do not need to rent a shop to sell your goods and you do not need as many employees if your business uses ecommerce since almost everything is automated. Your fulltime employee, an excellent ecommerce system, is working at the cash register 24 hours a day so that if someone wants to buy anything at 2am – they can. 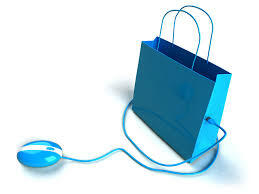 Using ecommerce also allows you to give more information about a product than is available in a physical store. Let’s say a client is standing with two toasters in their arms, looking at the boxes with a pondering look on their face. If they were in your online shop, they could read to their hearts content the colour, warranty, where it was made and what other people thought of the product but standing there in the shop their information is limited to what is scribbled on the box. Ecommerce makes shopping easier and allows clients to make the best possible choices and this is good because happy customers become repeat customers. Fcommerce is also not limited to strictly computer based online shopping. There are many different ways to use ecommerce and two of the most popular alternative ecommerce options are Mcommerce, short for mobile commerce, and Fcommerce, short for Facebook commerce. Mobile commerce allows clients to buy goods straight from their internet enabled cellphones and having this option open to clients is very lucrative, especially in South Africa, where the majority of people use their smartphones to access the internet. Ecommerce, on the other hand, targets internet users at the best possible time – when they have free time on their hands and are surfing the internet. Having social media that links to your site and allows for easy online shopping is the perfect way to gain more customers with ease! The long and the short of the story is that ecommerce is a powerful tool that should be used to help grow your business. Even the smallest company can compete, and even outdo, large companies with a well-designed website, good quality products and service. At Just Perfect we help you get ecommerce perfect by using only the best, top of the line ecommerce solutions from Bigcommerce and only the best, top of the line staff to optimise it. Let the South African ecommerce experts help you get the most out of your ecommerce store.